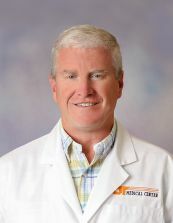 Welcome, and thank you for selecting The Pat Summit Clinic at the University of Tennessee Medical Center for your care. After providing unwavering Alzheimer’s disease and other dementias care to the East Tennessee region for many years, The University of Tennessee Medical Center joined with The Pat Summitt Foundation in 2014 to enhance care provided to our community and create The Pat Summitt Clinic. Inspired by the vision of the late, legendary Coach Pat Summitt for Alzheimer’s care in our community, The Pat Summitt Clinic opened in January 2017 with a multi-disciplinary approach to providing specialized care to patients and families and pioneering research in the area of Alzheimer’s disease. The Pat Summitt Foundation, a fund of the East Tennessee Foundation, is a valued collaborator of the medical center in this impactful area of care. Addressing memory disorders requires a comprehensive spectrum of services. 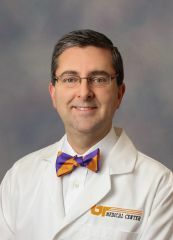 Under the helm of medical director Roberto Fernandez, MD, MPH, PhD, our experienced multi-disciplinary team helps patients with memory disorders, and their families and caregivers. We work closely and collaborate with other specialists, including neurosurgeons, neuroradiologists, who may be called upon to provide specialized care for individual patients’ needs. Our comprehensive team provides the patient and family with educational materials of clinical issues and treatment recommendations. The team works with the patient and family to help them understand the situation and encourages them to participate in the development of a management plan. Even our clinic design is geared toward creating a safe, soothing environment for our patients and their families. At The Pat Summitt Clinic, our goal is to help you find the tools, resources and treatments you need to continue living your life. Whether you are seeking a diagnosis, a leading treatment or a path forward, we will provide you or your loved one with advanced, compassionate and competent outpatient care. Your initial visit will include a thorough evaluation and consultation by our neurologist. Please visit Patient Information to learn about your first appointment, including what to bring. Learn more about Alzheimer’s and dementia, and discover a wealth of resources for patients and caregivers. More resources and support services than ever before are available for individuals with Alzheimer’s disease and their loved ones. You and your family are not facing this illness alone. Free monthly support groups are available for patients, family and caregivers of patients with dementia. It always helps to talk with people who know what you are going through, particularly when you are dealing with the debilitating effects of a neurological disease. Often, the effects of neurological diseases can be very puzzling and frustrating for caregivers. Those who have been dealing with neurological diseases for quite some time can prepare you for what to expect and help you learn how to cope. Research shows that support groups are an invaluable resource for dealing with a loved one’s illness and the long-term effects of the disease, not just for the caregiver, but for the entire family. The Pat Summitt Clinic participates in Alzheimer’s Support Group Programs for patients and caregivers. These support groups are sponsored by Alzheimer’s Tennessee. Families may contact Alzheimer’s Tennessee at 865-544-6288 for more information and to register. The Alzheimer’s Association is the go-to source for information on advocacy, research, support and education. Another informative website for caregivers and individuals looking for more information on the disease is www.alzheimers.net. The National Institute on Aging and the Alzheimer’s Disease Education and Referral Center (ADEAR) offer the latest information on the diagnosis, treatment, care and research related to dementia and memory disorders. They offer a 24-hour toll-free hotline (800-438-4380) for information, support and referrals. The U.S. Department of Health and Human Services’ www.alzheimers.gov is also a great website for patients and caregivers. You can also learn more about the research and clinical trials at The Pat Summitt Clinic. Non-native speakers of English may visit Medline Plus, a service of the National Institutes on Health, which provides health information in more than 40 languages on approximately 250 health topics, including Alzheimer’s Disease. Alzheimer’s disease is the most common cause of dementia in older adults. It affects more than five million Americans, and thousands more live with related disorders, like Lewy body, frontotemporal and vascular dementias. Although treatment can slow the progression of Alzheimer’s and help manage symptoms in some people, currently there is no cure for this devastating disease. Estimates vary, but experts suggest that as many as 5.1 million Americans have Alzheimer’s disease. Unless the disease can be effectively treated or prevented, the number of people with it will increase significantly if current population trends continue. That’s because the risk of Alzheimer’s increases with age and the U.S. population is aging. The number of people with Alzheimer’s doubles for every 5-year interval beyond age 65.